"G" German stainless steel and backed by a lifetime warranty. 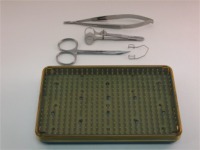 Choose from a Canine Spay Pack, Feline Spay Pack, Eye Pack, Rabbit / Rodent Dental Pack. 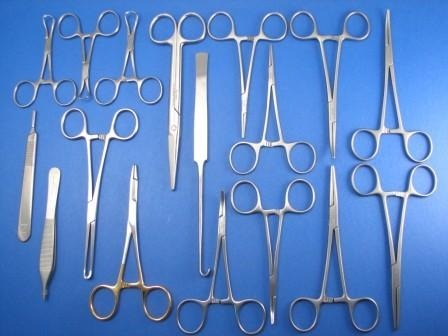 (1) Mayo Scissors 6.75" Str. (2) Kelly Forceps 5.5" Cvd. (2) Kelly Forceps 5.5" Str. (2) Halstead Mosquito Forceps 5" Cvd. (2) Halstead Mosquito Forceps 5" Str. 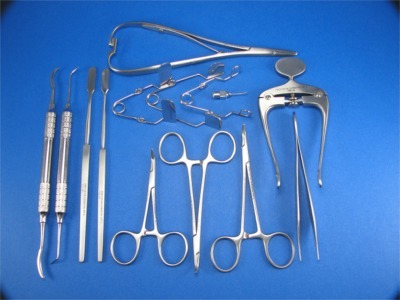 (4) Backhaus Towel Clamp 3.5"
(1) Olsen-Hegar Needle Holder 5.5" T/C (1) Allis Tissue Forceps 4x5 teeth 6"
(1) Mayo Scissor 6.75" Str. (2) Kelly Forceps 5.5" Str. (2) Kelly Forceps 5.5" Cvd. (2) Halstead Mosquito Forceps 5" Str. (2) Halstead Mosquito Forceps 5" Cvd. 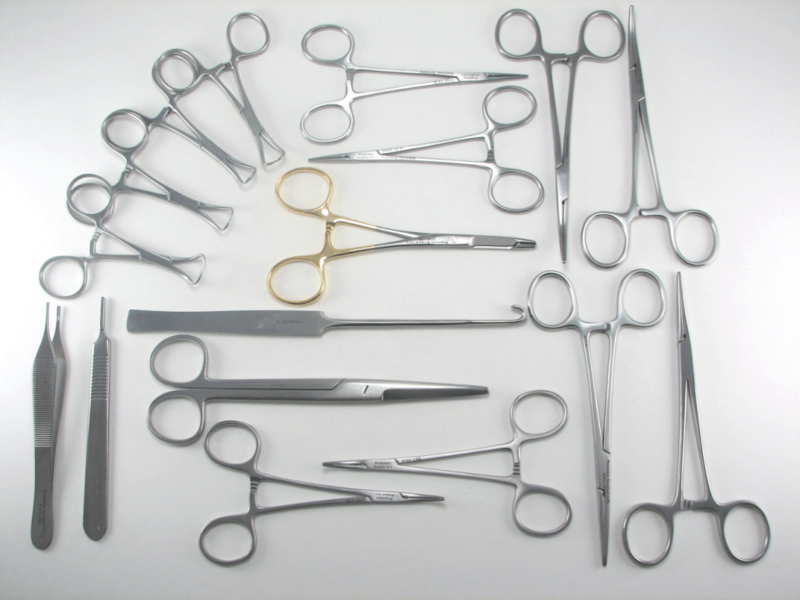 (4) Backhaus Towel Clamps 3.5"
(1) Brown-Adson Tissue Forcep 9x9 teeth 4.75"
(1) Stevens Tenotomy Scissors 4.5" Cvd. (4) Backhaus Towl Clamp 5.25"